And on top of his head they placed a crown of shrubbery. Jesus wore a crown of crabgrass? 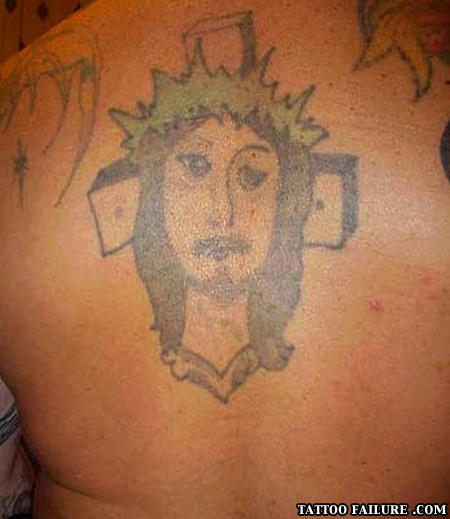 Even Jesus hates this tattoo. Umm...why is Jesus' eye lop sided? Wtf??? Jesus has big square ears! We've all noticed the salad crown, but has anyone else noticed his stache? Someone Blind mustve done it ? Jesus Christ, what is this!? Why do Teenagers, mostly girls between the ages of 12-17 love Justin Bieber?